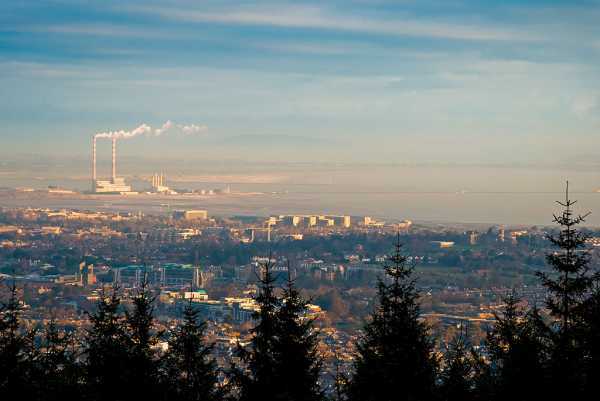 Those billowing plumes from the twin chimneys at the ESB’s oil-fired power station in Poolbeg have been visible to hillwalkers within sight of Dublin Bay for the last forty years, but not any longer. If April 1 newspaper reports are to be credited, the 680ft stacks puffed their dying gasps into the chill Dublin air at 8pm on March 31. More’s the pity. We have lost a great weather vane that could be relied on for a true reading of the direction of the wind, even when it was gusting erratically at ground level. If the plumes were pointing northwards to the Mournes or out to sea, change was probably on the way from south or west. If they were pointing inland to the hills, a cold easterly could be trusted to clear the air and quicken the pulse.